An incredible movie about the women who has been kept as slave in the heart of contemporary Europe. Director Bernadet Tuza Ritter accidentally heard about her when her ‘mistress’ Eta told her that she had a slave. She asked for permission to film her, and Eta allowed her for exchange of 300 euros per month. Marish, a 52-year-old Hungarian woman has been serving a family for a decade, working 20 hours a day, without getting paid. Her personal documents were taken from her by her oppressors, and she is not allowed to leave the house without permission. Treated like an animal, she only gets leftovers to eat and no bed to sleep in. The presence of the camera helps her realize she isn’t completely alone. She begins to relax and to show signs of trust. She gathers her courage and reveals her plan: ‘I am going to escape!’ The film follows her heroic journey back to freedom. Bernadett Tuza-Ritter is Hungarian independent filmmaker and editor specializing in creative documentaries and fiction. She studied directing and editing at the University of Theatre and Film Arts Budapest. As editor, she was engaged on numerous international projects, short movies and documentaries. During 2013, she worked on project ‘Cinetrain – Russian Winter’ which won the prize of audience at the Vision du Reel Festival of documentary film. She is member of HSE and Hungarian Film Academy. 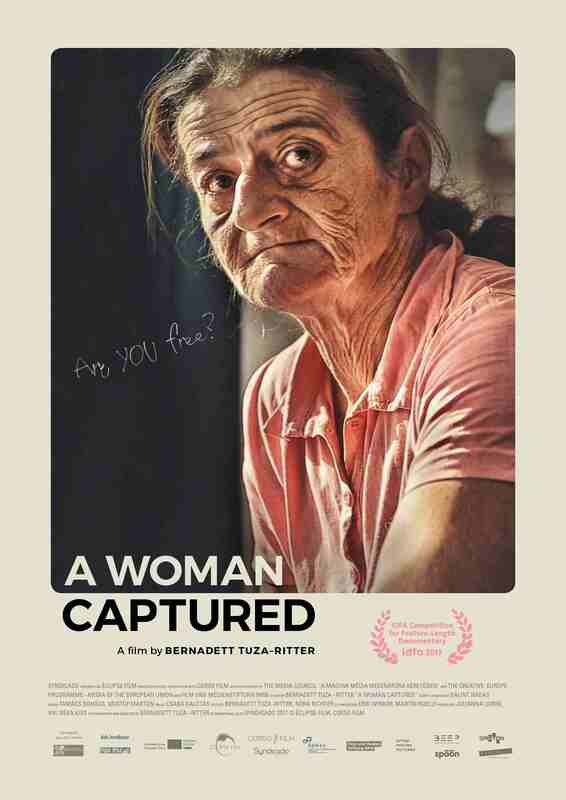 Her first feature length documentary ‘A Woman Captured’ premiered in IDFA 2017 Main Competition in Amsterdam. After that world premiere, it was selected for competition programme of World documentary film at the Sandens Film Festival in January 2018, being the first Hungarian feature length documentary ever competing at this Festival. Tuza-Ritter is especially interested in experimenting with film language and pushing the boundaries between fiction and documentary.